Did you know that September is emergency preparedness month? With the recent earthquake in the east and the wrath of Hurricane Irene, it seems like the perfect time to make sure you have your emergency kit stocked and ready, just in case. Are you wondering what to put in an emergency kit? Well, here at Daily Grommet, we have several finds that would come in handy in the event of an emergency -- be prepared! 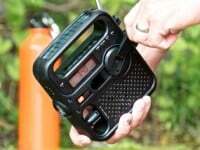 Solar and hand-crank powered electronics that include self-powered digital AM/FM/NOAA weather radio, a flashlight. Buy Eton here. Voltaic Solar Chargers come with a rechargeable battery and several adapter tips, and will charge a smartphone in just 4-5 hours of sunlight (compared to 16 hours for similar chargers). 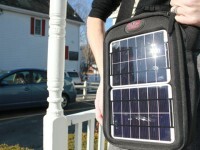 Buy Voltaic Systems here. 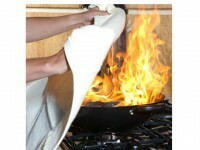 High performance fire extinguishing blanket. Smothers fires, blocks heat & does not burn. Two sizes for home fire emergencies. Clean, easy and reliable. Buy Kovenex here. Here’s a first aid innovation that stops bleeding faster and more safely than any traditional bandage. ABC stands for “Advanced Bleeding Control,” and that’s just what this incredible bandage delivers. The gauze turns into a clear gel when it comes in contact with blood. Buy ABC Gauze here. ﻿Ila Security personal alarms are designed to draw attention to dangerous situations. Rather than sounding like a generic alarm that may be ignored, these alarms emit a high decibal alarm that will surely draw attention. Buy Ila Security alarms here. ﻿Don't let a power outage or a computer crash wipe out your memories. 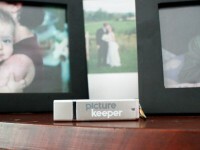 Get Picture Keeper's small portable drives to back up and save copies of all your digital photos. The built-in software automatically finds and copies all your photos with a single click. Buy Picture Keeper here. ﻿Do you have an emergency kit already made? What are some items you recommend including?